2017 was a record low for women in the upper echelon of pop. Industry experts, journalists, and artist managers explain what’s going on. From September 3, 2016, to September 16, 2017, no solo women scored a No. 1 single in the U.S. Almost coinciding with the beginnings of the Trump era, this was the longest stretch of No. 1 singles without a solo lead woman artist in decades. In September, Taylor Swift and Cardi B swooped in to break the streak — but overall this year, the charts have been a very male place. Analysis by Billboard in September found that women accounted for just 14% of U.S. Top 10 hits in the first eight months of 2017, marking an all-time-low. In the U.K., things haven’t been much better: when Dua Lipa scored a No. 1 with “New Rules” in August, she was the first solo woman to do so since Adele in 2015. It hasn’t always been this way: solo women have long enjoyed dominance on the pop charts. Since rock fell out of chart favor in the ‘80s, legends like Mariah, Whitney, and Beyoncé have reigned supreme. From the ‘90s onwards, women in pop have scored at least 40% of No. 1 hits each decade. So the disparity in 2017 is a noticeable, and a notable one. The FADER spoke to some experts to figure out what’s going on — whether this is a result of streaming stats, industry discrimination, or just a statistical blip. Some of pop’s biggest hitters have been taking a break this year. In 2017, some of pop’s most surefire No. 1 artists — Beyoncé, Adele, Rihanna — have been out of cycle. (Taylor Swift is just coming back around with Reputation.) But this can’t be the full explanation for the drought, given that 2017 has featured releases from other big names. Katy Perry is one of most dependable chart artists of the 2010s, and yet the singles of her June album Witness made a much smaller dent in the Hot 100 than she has ever made before. Other solo albums from generally bankable stars this year, like Miley Cyrus, Demi Lovato, Lorde, Halsey, and Kesha, enjoyed critical acclaim and relative commercial success — but no No. 1 singles. The five women mentioned above collectively had only two Top 10 singles this year (the highest was No. 6, for Lovato’s “Sorry Not Sorry”). There seems to be a lack of new women artists breaking through with chart-topping power. While our established stars are either resting or failing to match their sales of the past, the stage is set for fresh faces to take the spotlight. And yet, that doesn’t seem to be happening. 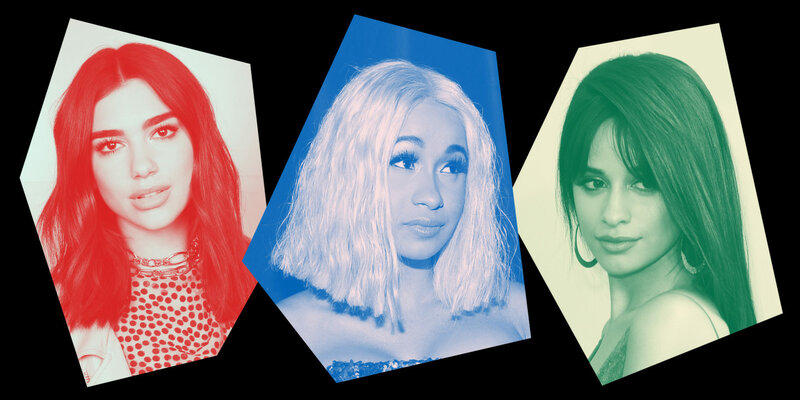 Aside from the runaway success stories of Cardi B and Dua Lipa, newer artists like Zara Larsson, SZA, and Kehlani are making little impact on the upper tier of the charts, despite massive online followings and streaming numbers. In July, the Guardian’s Harriet Gibsone hypothesized that this may be down to an influx of new women stars competing against each other, and hitting a glass ceiling. For women of color, it’s even harder to break through. Meanwhile, the rise of streaming has moved the goalposts for scoring a hit. Artists’ priorities have moved away from the charts. Beyoncé and Lemonade moved the bar for what a hit release actually is in the 2010s. Neither followed the traditional model of releasing a handful of hits ahead of the full work. 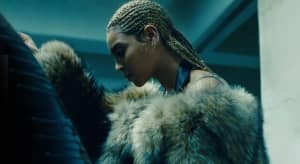 But Beyoncé's diminishing dominance on the singles chart means little: with Lemonade, she became the first artist in history to hit No. 1 on the albums chart with her first six releases. She's also just been named the richest woman in music. Both albums were huge critical and commercial successes, and they’ll likely be remembered as among the most important musical moments of the decade. But the charts go through cycles — and there’s hope this will pass. A lot of trends have come to a head in 2017, changing the shape of our charts: firstly, there’s seemingly a gap between the Rihannas of the world, and the up-and-coming Jorja Smiths. Women in pop who once ruled the Top 10 are either out of cycle or no longer interested in playing that game, and nobody else is yet filling their shoes. Meanwhile, streaming is skewing everything towards EDM and hip-hop, which both have their own gender representation problems. But if the industry puts its support behind those burgeoning women stars, and allows them to flourish without being pigeonholed, we might see more shock successes like “Bodak Yellow” and “New Rules” — hopefully, we’ll see them so much they no longer feel like a shock. On November 22, this post was edited to reflect Demi Lovato's Latinx heritage.